The combination of two differential pressure ports makes the DP transmitters very versatile as a pressure-measuring device. This one instrument may be used to measure pressure differences, positive (gauge) pressures, negative (vacuum) pressures, and even absolute pressures, just by connecting the “high” and “low” sensing ports differently. In every DP transmitters application, there must be some means of connecting the transmitter’s pressure-sensing ports to the points in a process. Metal or plastic tubes (or pipes) work well for this purpose, and are commonly called impulse lines, or gauge lines, or sensing lines. This is equivalent to the test wires used to connect a voltmeter to points in a circuit for measuring voltage. Typically, these tubes are connected to the transmitter and to the process by means of compression fittings which allow for relatively easy disconnection and reconnection of tubes. Note how the high side of the DP transmitters connects to the upstream side of the filter, and the low side of the transmitter to the downstream side of the filter. This way, increased filter clogging will result in an increased transmitter output. Since the transmitter’s internal pressure sensing diaphragm only responds to differences in pressure between the “high” and “low” ports, the pressure in the filter and pipe relative to the atmosphere is completely irrelevant to the transmitter’s output signal. The filter could be operating at a line pressure of 10 PSI or 10000 PSI – the only variable the DP transmitters measures is the pressure drop across the filter. If the upstream side is at 10 PSI and the downstream side is at 9 PSI, the differential pressure will be 1 PSI (sometimes labeled as PSID, “D” for differential). If the upstream pressure is 10000 PSI and the downstream pressure is 9999 PSI, the DP transmitters will still see a differential pressure of just 1 PSID. Likewise, the technician calibrating the DP transmitters on the workbench could use a precise air pressure of just 1 PSI (applied to the “high” port, with the “low” port vented to atmosphere) to simulate either of these real-world conditions. The DP transmitters imply cannot tell the difference between these three scenarios, nor should it be able to tell the difference if its purpose is to exclusively measure differential pressure. Although this may seem like a waste of the transmitter’s abilities (why not just use a simpler gauge pressure transmitter with just one port? ), it is actually a very common application for DP transmitters. This usage of a differential device may not actually be a “waste” if true-differential applications exist at the same facility for that pressure transmitter, which means only one spare transmitter need be stocked in the facility’s warehouse instead of two spare transmitters (one of each type). So in this regards, the DP Transmitters can serve both differential pressure process and gauge process. This is also the main reason why people can’t tell the obvious difference between DP transmitters and Gauge transmitter if only distinguishes them from appearance. 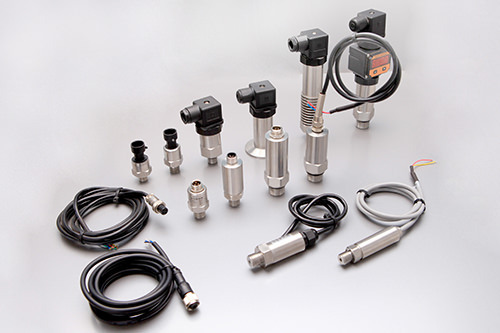 Most absolute pressure transmitters resemble “gauge pressure” adaptations of DP transmitters, with only one port available to connect an impulse line. Unlike gauge pressure transmitters, though, absolute pressure transmitters do not have vent holes on their “low” sides. The “low” side of an absolute pressure transmitter must be a sealed vacuum in order to accurately measure the “high” side fluid pressure in absolute terms. Absolute pressure measurement is important for a variety of process applications, including boiling-point control and mass flow measurement of gases. The boiling temperature of any liquid is a function of the absolute pressure it experiences, and in applications where boiling temperature must be precisely controlled in order to achieve a certain outcome (e.g. vacuum distillation of crude oil, for example) the best type of pressure measurement to use absolute. When computing the mass flow rate of gases in a pipe, the relationship between volume and molecular count is a function of both temperature and pressure (both absolute), and so absolute pressure measurement is indispensable here as well. Any pressure in the process vessel less than atmospheric will register to the DP transmitters as a positive difference (with Phigh greater than Plow). Thus, the stronger the vacuum in the process vessel, the greater the signal output by the transmitter. This last statement deserves some qualification. It used to be, the way analog pneumatic and electronic transmitters were designed many years ago, that the only way to obtain an increasing signal from a DP transmitters was to ensure the “high” port pressure rose in relation to the “low” port pressure (or conversely stated, to ensure the “low” port pressure dropped in relation to the “high” side pressure). However, with the advent of digital electronic technology, it became rather easy to program DP transmitters with a negative range, for example 0 to −10 PSI. This way, a decreasing pressure as interpreted by the transmitter would yield an increasing output signal. 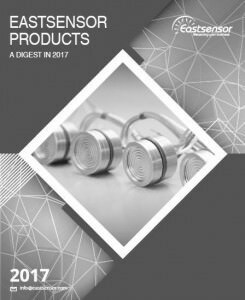 It is rare to find a pressure transmitter calibrated in such a way, but bear in mind that it is possible. This opens the possibility of using a regular “gauge” pressure transmitter (where the “high” port connects to the process vessel and the “low” port is always vented to atmosphere by virtue of a special flange on the instrument) as a vacuum instrument. 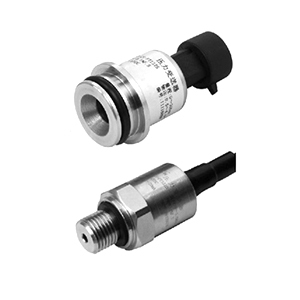 If a gauge pressure transmitter is given a negative calibration span, any decreasing pressure seen at the “high” port will yield an increasing output signal.